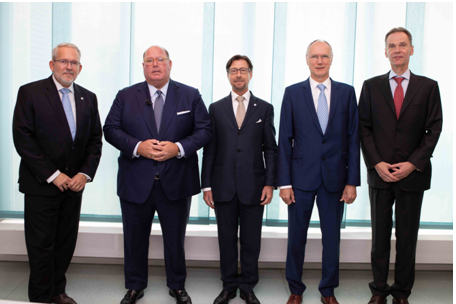 Lugano, Switzerland: – Pharmaceutical ingredient specialist Cerbios-Pharma SA (Cerbios) recently played host to the US Ambassador to Switzerland, as an important signal of its increasing links with the USA. 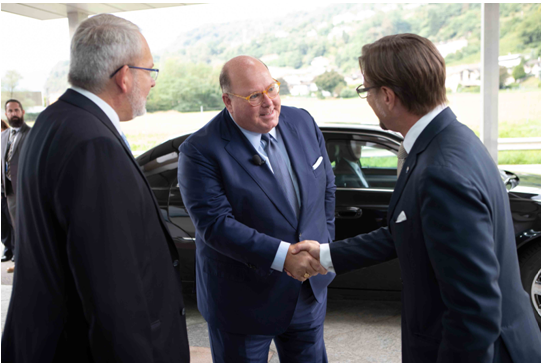 Edward McMullen Jr., US Ambassador to Switzerland and Liechtenstein, spent a day in September visiting the Cerbios headquarters in Lugano in Ticino, meeting top management and shareholders, as well as viewing the advanced research and manufacturing facilities. The aim of the visit was to give the Ambassador a better view and understanding of Cerbios’ ongoing and future activities in the USA. Cerbios has been active in North America since 1982, establishing leadership with its reduced folates products used in oncology. In the past years, activities have strongly increased as service provider and CDMO (Contract Development and Manufacturing Operation) for originators needing Cerbios’ expertise and know-how in handling and producing new generation High Potency Active Ingredients (HPAIs) and Antibody Drug Conjugates (ADCs). 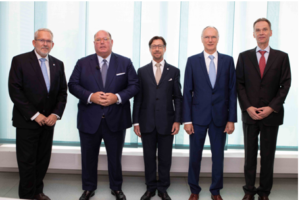 “It is our goal to support Cerbios and other Swiss companies in strengthening their activities in the United States,” said Ambassador McMullen. 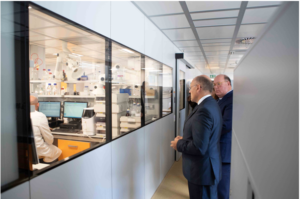 “I was really positively surprised to discover not only Cerbios’ unique and innovative activities but also that a small canton like Ticino has an important Pharmaceutical Cluster heavily contributing to the canton’s GDP,” he added. “Establishing an affiliate company through acquisition or a joint venture is an option we are considering in order to better serve our partners locally. The support of the US Embassy in Bern has really been remarkable till now,” said Dr. Haering. Cerbios’ is a global leading supplier of a portfolio of Generic APIs primarily used in Oncology as well as in the treatment of Respiratory and Dermatological disorders. 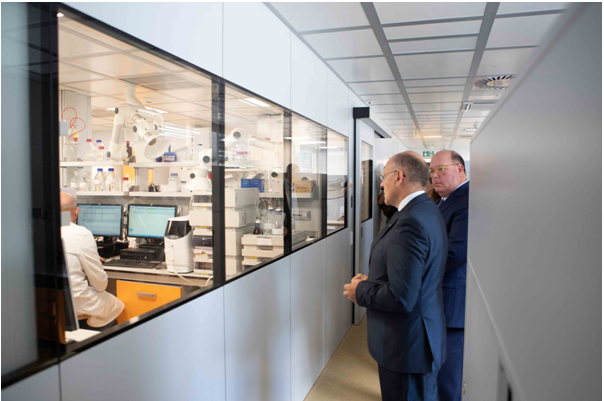 Click on US Ambassador visits Cerbios-Pharma for more information.